Tonight sees the broadcast of the second episode of Ian Hislop’s Stiff Upper Lip – An Emotional History of Britain on BBC Two. As I explained in an earlier post, I have had a minor supporting role in this series as a consultant and interviewee. Tonight’s episode, produced and directed by Sally Benton, really gets to the heart of the matter, investigating the cultural and political contexts in Victorian Britain which saw extreme emotional continence become established as a national characteristic. An important part in that story is played by the English public school – an institution that specialised in producing young men, as E. M. Forster once lamented, ‘with well-developed bodies, fairly developed minds, and undeveloped hearts’. The episode also includes the exploits (ranging from the entertaining, via the admirable, to the deranged) of Victorian and Edwardian explorers who tried to outdo each other in their capacity for sang-froid, stoicism, and suffering. But how do these tales of repression, endurance and derring-do relate to the history of a concept, if such a thing exists, of the ‘stiff upper lip’? I have long been an advocate of the importance of words as historical witnesses. Linguistic change can be a motor as well as a mirror of social change, and often a very simple question about the origins and history of a word or phrase can provide illuminating results. In my own previous research I have subjected the words ‘emotion‘ and ‘altruism‘ to extensive, some might say excessive, historical scrutiny. 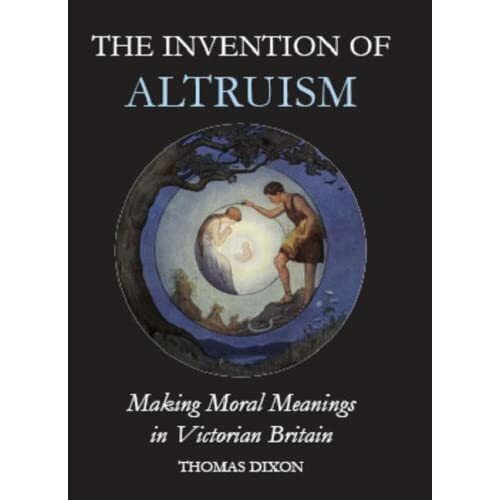 One reviewer of my book on The Invention of Altruism, referring to the several pages I devoted to unearthing the identity of an obscure 1880s gas engineer who wrote a pamphlet under the pen-name ‘Altruism’, politely suggested that I had provided ‘at least as much detail as we need’. Words and phrases that come to shape individual and national identities have their own histories. Word-history is not necessarily easy to do on television, but I was pleased to see Ian Hislop studying the OED definition of ‘sentimental’ to help shed light on the culture of sensibility in episode 1. In the case of ‘stiff upper lip’, the phrase has American origins (as was also mentioned in the first episode). The earliest uses I have found come from early nineteenth-century American sources, including military marching songs, religious poems, and works of physiognomy and phrenology (the sciences of face, skull, and character). The following is a lovely illustration of both the physical appearance and moral meaning of a stiff upper lip in the middle of the nineteenth century, when it denoted self-esteem, egotism, and bombast. The picture comes from Outlines of a New System of Physiognomy published in New York in 1849, but doesn’t that picture look a little bit like Ian Hislop? The phrase ‘stiff upper lip’ was unknown to British readers as late as the 1870s. It is a pleasing irony that it was introduced to them in a magazine founded by Charles Dickens, the great master of Victorian pathos and sentimentality. Dickens died in 1870. The following year, his journal All the Year Round, carried an article on ‘Popular American Phrases’ in which to ‘keep a stiff upper lip’ was explained as meaning ‘to remain firm to a purpose, to keep up one’s courage’. Even by end of the nineteenth century the phrase still appeared in quotation marks, and was sometimes explained as an Americanism. But I think it is fair, nonetheless, to say that a culture of emotional restraint and stoical determination was on the rise in Britain, even before the phrase, ‘stiff upper lip’, which became attached to it during the first decades of the twentieth century, came to prominence. It was in 1937 that a Gershwin song of that title attributed stiffness, stoutness, and the ability to muddle through to the English race since the time of ‘Good Queen Bess’ (performed in the clip below by Gracie Fields with Fred Astaire and George Burns). Among the powerful social and cultural forces that contributed to the rise of this ethos in Britain were science and imperialism. Darwin’s pioneering study, The Expression of the Emotions in Man and Animals (1872), popularised a racial hierarchy of emotional expression, with restrained Englishmen at the top and primitive ‘savages’ at the bottom. Darwin asserted that ‘savages weep copiously from very slight causes’, whereas ‘Englishmen rarely cry, except under the pressure of the acutest grief’. Not all Europeans, Darwin noted drily, were so restrained: ‘in some parts of the Continent the men shed tears much more readily and freely’. A fuller picture of Darwin’s own emotional life emerges, however, in an article by the historian of science Paul White, entitled ‘Darwin Wept: Science and the Sentimental Subject‘, which is currently available freely online in a recent special section of the Journal of Victorian Culture on Victorian sentimentality. As the programme this evening brings out, the expectation that emotions should be contained rather than expressed was extended to people of all classes and both sexes in various ways during the later Victorian period. Women were praised for suffering in silence, and men were mocked when their feelings were displayed. Although it had previously not been unknown for lawyers and even judges to weep in court, by the late Victorian period the prevailing ethos had changed. The tale of ‘Robert Emotional’, which features in episode 2 this evening, illustrates this perfectly. A Victorian policeman who wept while giving evidence against a former colleague in 1888 became the subject of national mockery in a satirical ‘Play of the Period’ (pictured right) in Funny Folks magazine rather than a hero of sentimental sympathy. 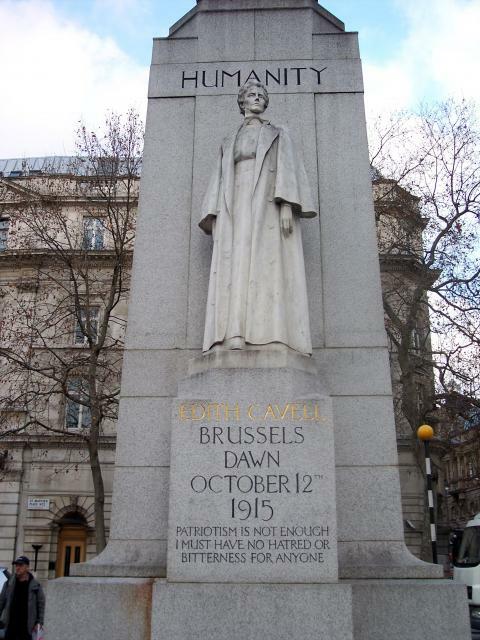 The hysterical outburst which followed the execution of Miss Edith Cavell is one among many signs of the flabbiness of certain people’s minds. The sentence on Miss Cavell was a brutal sentence, and the manner in which it was carried out appears to have been brutal beyond words. But that England should be kept rocking on its base, as it were, for a whole fortnight over such a tragedy is, in our opinion, to be deplored; and probably nobody would have been more startled or distressed by the public attitude in the matter than Miss Cavell herself, who, when all is said, died not in the spirit of sentimental patriotism but because she was a firm woman and insisted on the stiff upper lip. The voices of those, like E. M. Forster and some of the Bloomsbury Group, who questioned this ideology of stiffness, firmness, and emotional repression, during and after the First World War, only started to win the argument after a resolute nation had emerged, blinking back their tears, from another World War, almost half a century later. This entry was posted in Emotional Currents, TV reviews and tagged darwin, Edith Cavell, expression, Gershwin, Ian Hislop, Robert Emotional, stiff upper lip, tears, weeping, word history by Thomas Dixon. Bookmark the permalink.